What is the Best Window Air Conditioner 2017? 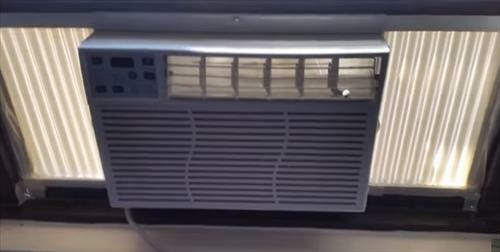 Choosing the best window air conditioner is never a one size fits all comparison. There will always be too many variables that change from scenario-to-scenario that will make it all but impossible to pick just one. One person may be on a budget and need a low cost unit while another may want a quiet unit. So lets take a look at some popular Window A/C units to see if one fits your scenario. On a budget and need a small low cost unit than the Frigidaire FRA052XT7 may be for you. First is small 13.2 x 16 x 12 inches making it a good fit for almost any window. Next it is a low cost unit that works very well for the price. The Haier company makes the Serenity Series of air conditioners for those who want the quietest unit possible. All window units will make some noise but Haier has added many features to the Serenity Series to help with this. For example they wrap the most noisy component the compressor in a noise suppressant material along with better design of the fans. If you want a quiet unit read the reviews on the Haier Serenity Series. Some windows have panes that slide side-to-side or the window is tall and narrow. For these types of windows casement window air conditioners are made to fit. These units are tall and narrow allowing them to fit in many windows that otherwise would be impossible with a standard unit. Finding the best window air conditioner that fits your setup may take a bit of reading and research but with the many available there is no doubt one to fit any environment. Be sure to measure the window it will go into along with examining the wall out let it will plug into.